10th Anniversary of Remy's debut album from 1999. Music composed and performed by Remy. 24 Bit - 96 kHz digitally mastered by Wouter Bessels. Born in 1979, Remy Stroomer is a relative newcomer to the EM scene releasing his first CD in 1999 at the age of 20, during his first year of studies at the Royal Conservatory in The Hague (The Netherlands). So you might say his realm of influence during his formative years falls outside of the Berlin School and first wave of Euro EM. Nonetheless, his music has been likened to Klaus Schulze, a somewhat valid comparison, yet upon listening the creative impulses definitely come from a different era featuring far more propulsive energy. His first release was a LTD ED CD-R entitled EXHIBITION OF DREAMS, a Dbl CD-R, recorded over two years previous to it release which sold out rather quickly. Jump forward ten years and a handful of albums and we get to the CDs at hand. For his 10th Anniversary he re-mastered the original release and released it again as a Special Edition Dbl CD. He also re-recorded some of the original music for release as a new CD entitled EoD. The music on his original release definitely has an affinity with the older EM school sound, while the new recording's impulses are more "of today". Some of the material is the same, but it sounds and feels different. Overall his approach is much more dynamic than most of today's EM vets as strong melodies jump out at you, sequences race at breakneck tempos or thundering back beats, sometimes both at the same time. Tracks like "Velocity" and "Mirage" are kinetic, and the title piece "Entering the Dream" clearly sets him apart from most others making Remy's music refreshing and an excellent listen. Those who know me and who read me on Guts of Darkness know in which point I loathe rereleases of these uncountable boxed-sets which exploit the same theme without adding anything really concrete to the initial musical project. I love Remy, as well as his music which tergiversates constantly in the analog/digital fusion era of Klaus Schulze. If the period of Inter*Face, Dreams, En=Trance, Miditerranean Pads and even In Blue fed abundantly your ears, the trilogy of Exhibition of Dreams will manure them even more. Because it is well and truly there that Dutch synthesist music is situated. Melodious variations on dream and its meanders nightlife theme, its at the end of 1999 that appeared the very first edition of EoD. Initially recorded on Mini-Disc and without overdubs, EoD saw the day on a very limited edition. The impact was rather significant for those who discovered Remys sound universe, starting a passion for fans that saw in Remy a Schulze disciple. A more poetic Klaus Schulze who respected his composition frames far from the improvised sessions of the German Master. Ten years later, Remys label (AKH Record) decides to emphasize the release of this album which became out of print too quickly. In last November, a single cd recuting a selection of Remy was release. Two months later, the total! A triple boxed-set including the 1st edition, remastered with the technology of nowadays recording, and a bonus cd in including 6 musical pieces wrote during that same area which, with an incredible musical precision, exploits the unexplained labyrinths and vagaries of dreams. Such a slide in a night which will be shaken by dreams to random divinations, Into the Dream brings us in a soft musical universe with hesitating bass chords, encircled by fine arpeggios ready to fly in a night of thousand torments. Those who, like me, tasted the summary work will find the soft poetic lines of Entering the Dream with the hesitating approach of the slumber dance. A rhythm constantly held by a synth to spectral breaths and a keyboard with keys situated between an acoustic guitar and a harpsichord to crystal clear and pinched notes. The percussions fall, without ever smashing anything. A little as not to disturb the sleep tranquility, while the synth dresses its most beautiful oniric approaches, before moving us with this melody so for a long time buried in the lightness of the sleep which introduces this long night of dreams. Mirage attacks the night with more vigor. A long title to progressive rhythms, locked into a sphere of night-schizophrenia. On the other hand, this version is more ethereal and poetic than the one on the special edition, freeing a suave perfume of soft night bird madness. Lost Forces (Velocity) follows the rhythmic tangent which develops since Into the Dream. Very similar to Mirage, the pace is however more fervent and circulates nervously in a ghostly universe, shaped by a subtle line of bass to nail-biting pulsations and a synth to nightmarish waves. Luna (Lunascape) calms down the play with magnificent sequential spiral which swirls lasciviously, creating an effect of hypnosis, under a synth filled of a spawn of strata as disquiet as lyrical and where the rhythm beats slightly, as an ode to the moon and its secrets. Distant xylophone arpeggios from out of the nowhere, introduce The Fields of Infinity that hiccups under rolling percussions. Percussions become metallic and slamming which always follow the sequential xylophone approach that fade with the arrival of an acoustic guitar to fine harmonious chords. Obsessed that we are, we have difficulty in noticing this adorable fusion of chords of a divinely charming synth which oscillates slowly behind this harmonious duality which plunges towards a fervent finale where we regret bitterly the short length of this title. Unidentified Dreaming Objects is a long epic track that breathes of this approach night bird which is the premise of EoD and of which we perceive all the sequential approach which lies in it. A long title which seems to be a summary of the cd 1, but with a more poetic approach with notes of acoustic guitars which measure to morphic synthesized strata, or still of piano spawning under the influence of a synth to somber rotary waves. The rhythm clings to this sequence to stealthily chords, shaping to a fine line of bass which seems to go out of nocturnal oblivion. It goes and strikes where it needs, leaving all the room to captivating mellotron strata, to salvos of synth tinted of symphonic waves flooded in soporific choruses and its wonderful oniric chords of guitar and solitary piano. Very different from Silent Conversations, Silent Voices is a marvel of solicitude and solitude which blooms beneath a soft piano of which notes embrace notes of a crystalline keyboard, where discreet percussions become the witnesses of this strange harmony of a duality between softness and disturbing dream. A superb track that bursts as much the soul as the lachrymal glands, of which reminiscences drag far beyond the uncoordinated rhythms of Out of the Dream. If you already own EoD, know that the cd offered in bonus with this new edition is everything a find. Some very beautiful Remy who navigates comfortably any seas, as serene as eventful. Metroid starts this collector's item with fine flutes of blowpipes to sharp breaths of which the echo is shaping in a synth to circular and hesitating waves. Waves which float, as leaves falling from tree, among xylophone keys to nervous striking to which couple tam-tam percussions that strengthening a cadence of which the agitation soaks in a hybrid statism rhythmic. The structure becomes warmer with a synth of which fluty strata become entangled with symphonic breaths on a warm bass line which nuances subtly Metroid rhythmic envelope. Darker, poetic and enigmatic, Silent Voices Part II progresses to weak stealthily on a structure more amber than her big sister. A sweet reverie on a much sharpened synth and oniric tinkled sparkling. Strata to dense orchestrations which cogitate under loud striking notes of pianos, Waiting for Dusk takes us in a night of tormented dreams with strikes of piano which cry under fanciful violins, before taking a tangent where dream recedes nightmare in a sound sphere filled with fluty mellotrons and xylophone keys on a tormented structure. A great musical drama! After a finality where the duality of harmonies makes more complex The Fields of Infinity, The Cave plunges us into an atonal atmosphere with an intriguing approach. The atmosphere is biting and soaks into a world of ether where the madness nightlife watches for us in every heterogeneous tone. A strange title which looks for comfort among lost spirits. 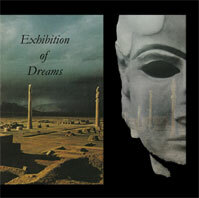 The Storm concludes this beautiful bonus cd with a long minimalism procession where the intensity is deploying with nuance, respecting the premises of Schulzes works, in harmonies which is the reflection of the duality between the dream and the nightmarish approach that is Exhibition of Dreams. As for me, Exhibition of Dreams is a magnificent musical piece of anthology. The kind of work which marks time and which will leave all of its traces for coming years. The sound, the compositions, the approach sometimes dramatic sometimes melodious on structures at once minimalism and uncoordinated, make of this work a musical monument which explains all beauties and subtleties of the EM art. Read the French version of the review here. In iO 90 besprak ik EoD, de knap gemaakte heropname van een deel van Remy's debuutalbum Exhibition Of Dreams uit 1999. Naast EoD heeft Remy ook een remaster uitgebracht van de originele muziek. Dit is op fraaie wijze gedaan door Wouter Bessels, mijn voormalige collega van het blad E-dition. Nog gemaakt met behulp van de vermaarde Atari computer, bewijst Remy op Exhibition Of Dreams reeds zijn talent. De muziek zit inventief in elkaar en wordt prima gespeeld. Kwa geluiden (bijvoorbeeld veel Korg M1) en ritmes is er een link te maken met de muziek die Klaus Schulze in die periode maakte maar Remy's composities zijn melodieuzer en (sorry, Klaus) beter gespeeld. Ik vond dat destijds heel bijzonder omdat vele andere elektronische musici bijvoorbeeld juist de klank van Schulze uit de jaren '70 als voorbeeld nemen. De melodieuze insteek horen we al in het eerste nummer Into The Dream dat een fraaie sequence kent en lekkere drumklanken. Remy is altijd goed geweest in het creëren van puntige sequences: dat is goed te horen in Mirage en Lost Forces. Één van zijn beste composities vind ik het romantische sfeervolle La Luna. De tweede CD bevat onder meer Remy's langste stuk ooit, Unidentified Dreaming Objects van bijna 43 minuten. Dit stuk met stuwende ritmes en zachte solo's, vind ik nog het meest klinken als Klaus Schulze's muziek uit die tijd (maar dan dus beter). Naast La Luna vind ik Silent Voices het hoogtepunt van de CD. Dit stuk klinkt bijna als filmmuziek (misschien iets om nog eens doen voor Remy), kompleet met piano. Out Of The Dream kent flinke ritmes en bassen. Het swingt heerlijk en bewijst de vele markten waarin Remy thuis is. Het is lekker dat Remy's debuut, naast EoD, ook weer in de oervorm te horen is. In dezelfde periode (1997-1999) toen Remy Exhibition Of Dreams maakte, heeft hij nog diverse andere muziek gecomponeerd. Zes van deze tracks zijn -eveneens geremasterd- te vinden op een gelimiteerde bonus-CDR. Ik vind het gaaf dat Remy deze muziek heeft uitgebracht want het ademt dezelfde sfeer uit als Exhibition Of Dreams. Bijvoorbeeld in Metroid horen we weer van die typische M1-koorklanken (toch wel indrukwekkend). In dit stuk zit ook een lekkere voortgang. Dit is een specialiteit van Remy. Silent Voices 2 is een waardig vervolg op Silent Voices met een prachtige sequence en een vette soloklank. 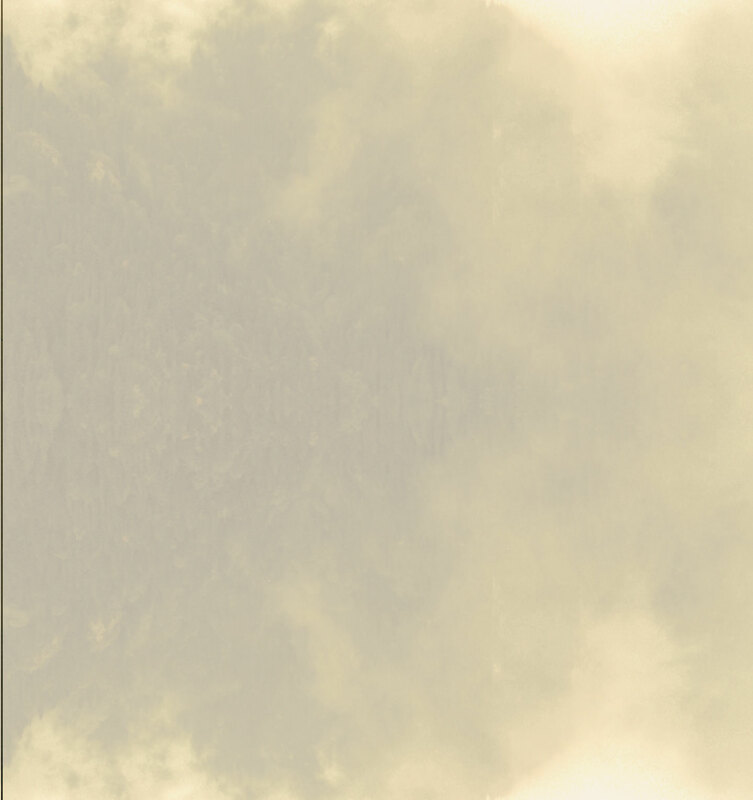 Genoemde Schulze komt weer voorbij in het stuwende Waiting For Dusk maar ook opnieuw een sequence als in Silent Voices. The Fields Of Infinity is een volledige versie van het stuk dat we ook op Exhibition Of Dreams terugvinden. Hier wordt het akoestische gitaargeluid uit de M1 ingezet. Na dit ritmische stuk gaat Remy in The Cave een heel andere richting uit, namelijk een meer experimentele met gave metalen sounds. Hier klinkt naar mijn mening een hint naar zijn latere materiaal. Storm is licht symfonisch met piano, een bas die als solo wordt gebruikt en lekkere ritmes. Deze CDR vormt een welkome aanvulling op Exhibition Of Dreams. Wees er snel mee want er zijn maar 75 van gemaakt. Remy Stroomer, más conocido como Remy es un compositor ya de sobra conocido por todos, pero si embargo, hace solamente diez años que se publicó su primer trabajo, "Exhibition of Dreams", en estos diez años ha recorrido un largo camino, con unos comienzos en los que su música era un homenaje a Klaus Schulze, pero que poco a poco a marcado sus distancias hasta tener su propio estilo. "Exhibition of Dreams" es una reedición de su primer trabajo , en esta ocasión remasterizado, pero además, es un doble cd ya que incluye "EoD" un disco donde nos podemos encontrar con grabaciones de algunas de sus sesiones y también existe una edición especial limitada a 75 copias. Remy es un amante de la música electrónica del estilo de Klaus Shulze, eso lo dejó patente en sus primeros trabajos, del cual este es su máximo esponente ya que es el primero publicado, pero con el tiempo, Remy se ha convertido en una referencia, por lo tanto, "Exhibition of Dreams" es un trabajo indespensable para todos aquellos seguidores de la buena música electrónica, así que nada mejor, que disfrutar de esta exhibición de los sueños que a muchos nos hará también soñar. With the release of "Exhibition of Dreams", fans of Remy Stroomer's music are given the opportunity to hear the remarkable musical development this Dutch musician and his music has undergone since he made his first steps in the genre of electronic music. While celebrating the 10th anniversary of the debut album, "Exhibition of Dreams" revisits the electronics composed back in 1999. The music was devoted to minidisk, so things had to be done in one take. This nicely remastered album -courtesy of Wouter Bessels- comes with several unreleased tracks (from the same recording period) next to newly recorded versions of a selection of pieces from the original debut album, which was originally released as a double cd-r in limited quantities. "Exhibition of Dreams" takes us on a ride through Schulzian-inspired music (his late '80's /early '90's period), offering repetitive structures and rhythmic patterns which opens up spaces of happy, transparent and confident sounding electronics with an analogue edge. The use of guitar sounds and flavours of mellotron and other vintage gear is evident, next to some occasional enthusiastic, powerful synth-soloiing, the latter putting the icing on the cake on "Mirage". More than once, the outcome put a smile on my face as I absorbed the warmth and creativity hidden within Remy's fine crafted harmonic music. I have no doubt it will do the same for everyone who looks for nostalgic sounding electronic music with its own intrinsic, fluent vibe.